Rabbi Yehoshua Eibeshitz: "We are a people of memory." For decades, Rabbi Yehoshua Eibeshitz, a leading Orthodox Holocaust researcher and a Holocaust survivor, has kept his promise, and has given testimonies about the Koźminek ghetto, his wanderings between small towns in Poland during the WWII, and about his time in a forced labor camp in Schwenningen, in the prison of the Łódź ghetto and in the Hasag Warta camp in Częstochowa. Now 102 years old, Rabbi Eibeshitz has made telling what happened to the Jewish people his vocation. A self-educated historian, his is a unique voice in Holocaust research – by choosing to focus on what had previously been considered marginal. 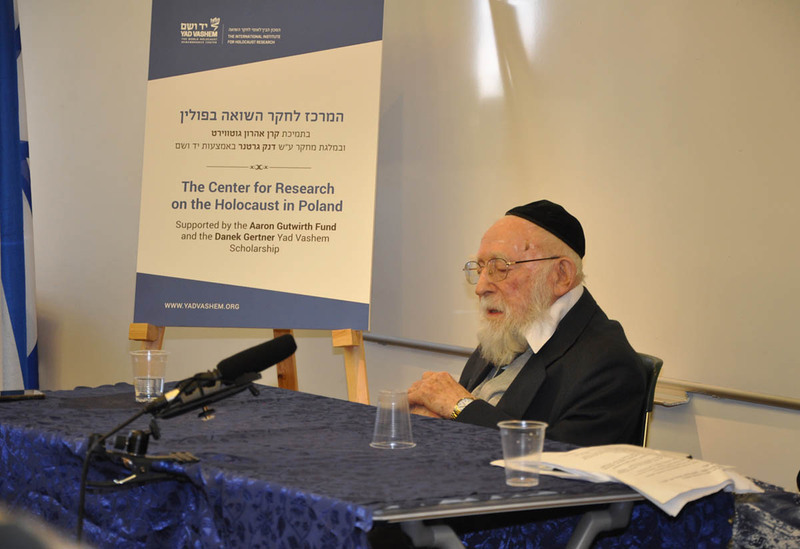 In recent months, with the assistance of the Holocaust scholar Esther Farbstein, Rabbi Eibeshitz was invited to share his insights and his stories with the scholars of Yad Vashem in a series of talks organized by the Centre for Research on the Holocaust in Poland at Yad Vashem's International Institute for Holocaust Research. One aspect of his unique contribution to the field of Holocaust research was his focus on the religious communities, a subject about which he has written extensively. During the first meeting in the series, Rabbbi Eibeshitz spoke to Farbstein and Prof. Havi Dreifuss, Director of the Polish Research Center, about his acquaintance with Rabbi Meir Shapiro from Yeshivat Hachmei Lublin, Warsaw ghetto rabbi Shimon Huberband, and the author Yechiel Feiner (Ka-Tzetnik). 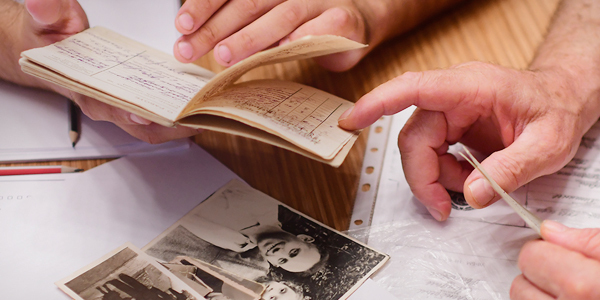 He told of an argument with his cousin, YIVO Chief Archivist Isaiah Trunk, and spoke critically about Yad Vashem and the fact that, when he came to search for material here some decades ago, he found no "sparks of light," nothing that would tell a positive story of Jewish faith, or of Judaism in general. 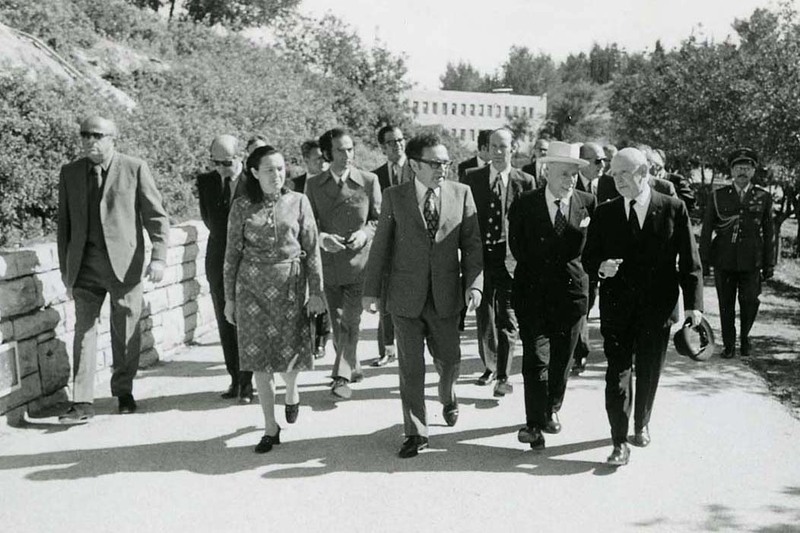 When asked what the young scholars should focus on nowadays, he replied, “Jewish life before the war." "There were no good or bad people. The Holocaust either turned you into a beast or into a human being," Rabbi Eibeshitz told Prof. Nathan Cohen in one of the powerful moments of the second meeting, devoted to that very topic. During his career as a historian, Rabbi Eibeshitz also contributed significantly to what was at the time a largely unchartered area of Holocaust research – Jewish women during the Shoah. 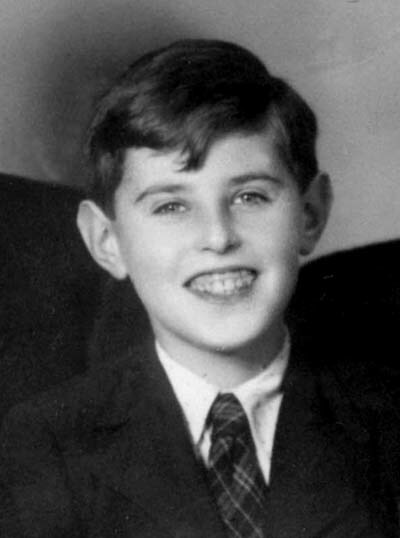 During the third meeting, he told Prof. Dalia Ofer that the idea to deal with the topic came to him after hearing his wife’s stories and following a meeting with a Holocaust survivor, who told him one afternoon, in a train station coffee shop, about the torture she went through as a teenage girl in Auschwitz. After this meeting, Rabbi Eibeshitz decided to collect and publish the stories of women during the Holocaust. The result of this enterprise was his seven-volume work The Woman in the Holocaust (Heb., 1987) one of the first works on the subject in the Holocaust historiography. "It was permitted to eat bread [on Passover], and even to make a blessing over it. It was permitted! 'You shall live by them! [the commandment to choose life over most prohibitions]' But people woke up [and kept the prohibition of eating bread on Passover]. It was a revolt! If that isn't a revolt, what is?!" Finally, when asked for advice for young researchers, Rabbi Eibeshitz concluded: "The message is that we must remember, we must never forget. We are a people of memory, we exist for memory's sake; we are commanded to remember." 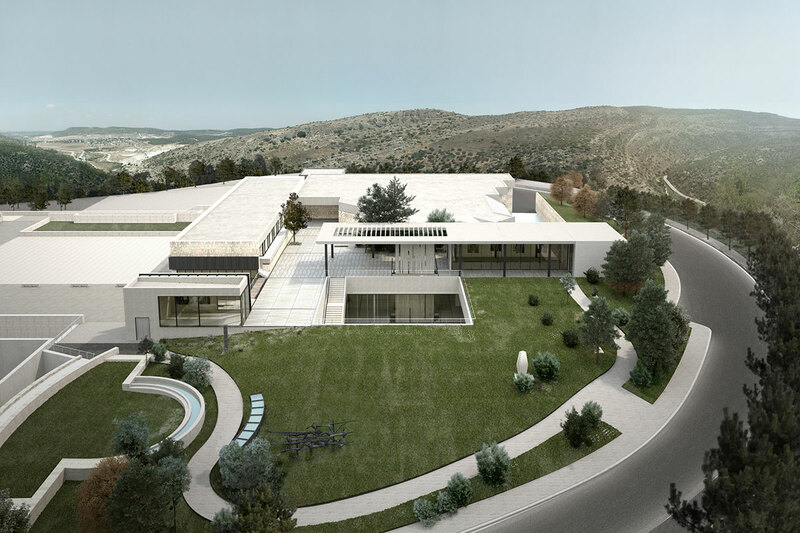 The series of meetings with Rabbi Yehoshua Eibeshitz were generously supported by the Aharon Gutwirth Fund and Danek Gertner Yad Vashem Scholarship. The author is a researcher and Coordinator of the Center for Research on the Holocaust in Poland, International Institute for Holocaust Research.